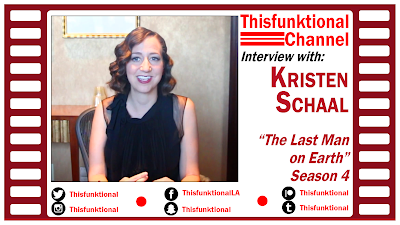 Actress Kristen Schaal talks with media about "The Last Man on Earth," season 4 premiered Oct. 1. Schaal discusses playing a pregnant woman, her dislike of shooting on a boat and desire to stay on land and talks about "Bob's Burger" fans. "The Last Man on Earth" and "Bob's Burgers" airs Sunday nights on FOX.